As understood by a mediation lawyer Walnut Creek, CA relies on, the process of determining custody during divorce can be very painful for many parents, as they are trying to prove as to why they are the most suitable parent to obtain custody. While there are many levels to child custody, many parents simply want to be the primary parent who both lives with their children and makes important decisions regarding their care. Many parents may attend mediation sessions with a mediation lawyer in Walnut Creek, CA regarding child custody amidst divorce, before going to court. 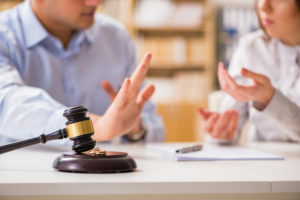 With mediation, a neutral third party that is trained in communication can help guide the conversation in an effective way with the help of a Walnut Creek, CA mediation lawyer. In many cases, the parents do not want to court system to decide when they will see their children. So, if each spouse can put their hard feelings aside and work together, the results may be best for all family members. If you and your co-parent are in the mist of determining the custody agreement for your childe(ren), it may be in your best interest to contact a mediation lawyer in Walnut Creek, CA from the Law Office of Ariel Brownell to alleviate the stress of a full court, litigation process. For more information, or to speak with a mediation lawyer Walnut Creek, CA trusts, call us today.